Use for setting deck, fence, lamp and mailbox posts; sets posts without mixing – pour dry mix into hole and soak with water. 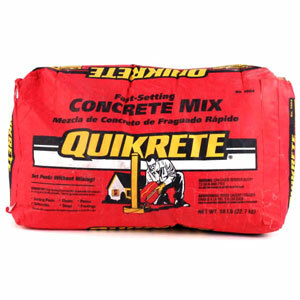 This is a special blend of fast-setting cements, sand and gravel designed to set hard in approx. 20 to 40 minutes.